The Federal Government, through the Australian Research Council (ARC) is the major funder of the ARC Training Centre for Chemical Industries. We gratefully acknowledge the support and aim to assist the ARC in delivering economic growth to strategically important sectors of the Australian economy. The ARC is a Commonwealth entity and advises the Australian Government on research matters, administers the National Competitive Grants Program, a significant component of Australia's investment in research and development, and has responsibility for Excellence in Research for Australia (ERA). The ARC’s purpose is to grow knowledge and innovation for the benefit of the Australian community through funding the highest quality research, assessing the quality, engagement and impact of research and providing advice on research matters. Chemistry Australia is the pre-eminent national body representing Australia’s $40 billion chemistry industry. Members of Chemistry Australia are positioned across the entire value chain including manufacturers, importers and distributors, logistics and supply chain partners, raw material suppliers, fabricators, compounders, recyclers, research, academia and service providers to the industry. These businesses range from small family-owned companies to leading national and multinational enterprises. Australian manufacturing is changing focus from heavy industry to high tech products based on sustainable, advanced manufacturing processes. CSIRO's science and engineering skills, equipment and international connections are helping Australian manufacturers be globally competitive. Qenos is the sole manufacturer of polyethylene and polymers within Australia. If you see or use plastic in your household items, it was probably made by us. We directly contribute more than $1 billion a year to the Australian economy with our operations in Melbourne and Sydney employing around 700 people directly. We are a valued supplier of a diverse range of specialty polymers to industries that employ hundreds of thousands of people across Australia. DuluxGroup is a leading marketer and manufacturer or premium branded products that enhance, protect and maintain the places and spaces in which people live and work. Through leadership in innovation, sustainability and colour, PPG helps customers in industrial, transportation, consumer products, and construction markets and aftermarkets to enhance more surfaces in more ways than does any other company. 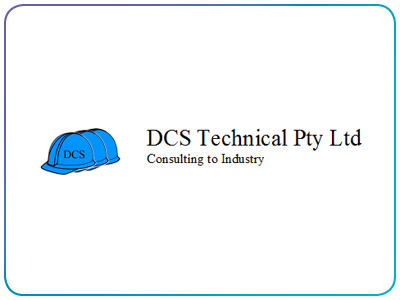 DCS Technical is a boutique consultancy providing services to the Australian minerals, waste recycling and general scientific industries.